By decision of the Government of the Republic of Macedonia to establish a network of national institutions in the field of culture (Official Gazette of RM No. 84/2003), the Institute for Protection of Monuments of Culture and Museum-Ohrid and related institutions in Bitola, Prilep, Strumica and Shtip received the status of National Institutions of culture and was renamed NI Institute for Protection of Monuments of Culture and Museum- Ohrid, i.e. NI Institute and Museum-Ohrid. 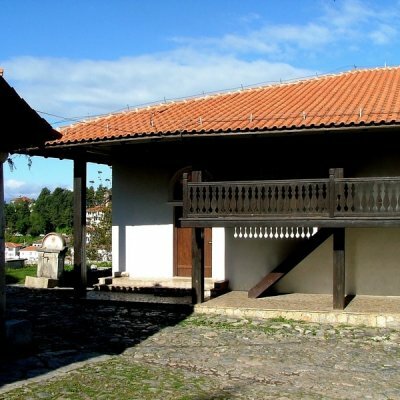 Today, NI Institute for Protection of Monuments of Culture and Museum-Ohrid is a national institution in the field of culture whose core activity is the protection, systematization, documentation, scientific study, publication and presentation of the cultural heritage of the city of Ohrid and Ohrid-Struga region. The Sector for protection and conservation of cultural heritage carries out research, studies, analysis, constructive, administrative, legal, documentaristic, informatic, operational and administrative work for protection and conservation of cultural heritage. Elaborates and reports for evaluation and revaluation are prepared there, as well as protective and conservation bases, projects for archaeological and conservation research, conservation projects, it organizes the performing of conservation, restoration and other works of direct protection and presentation of immovable goods, conservation and other professional supervision to the implementation of protective measures etc. Section for Protection of Historical Heritage. SECTION FOR PROTECTION OF ARCHAEOLOGICAL HERITAGE performs professional duties of identification and establishes the regime of protection and use of the archaeological heritage. Coordinates and participates in the process of evaluation, re-evaluation, labeling and documentation of archaeological heritage, monitoring the situation and changes, study of the values, meaning and functions, conservation, presentation and popularization of the archaeological heritage. This section performs protective archaeological research, prepares elaboratess for putting under protection of goods, manages professional teams for inspection, registration, valuation, revaluation and nomination for international status of archaeological heritage. Performs conservation research for preparation of conservation projects, participates in professional or scientific research, carrying out complex interventions on the direct protection of the archaeological heritage, performs archaeological supervision during construction of other conservation projects, manages and participates in the implementation of international, national and other common projects related to archaeological heritage and its protection, presentation, use and popularization. Prepares expert opinion on the issues and problems concerning the protection of the archaeological heritage and the realization and improvement of the activity, monitors the activities within the international system of protection of archaeological goods, monitors the implementation of strategic documents, programs, recommendations and other measures related to the activity. Monitors the realization of the proclaimed goals of protecting the archaeological heritage, implementation of measures related to the direct protection of the archaeological heritage and points out certain problems and shortcomings in the work of conservation principles, standards and methodology. This section manages or participates in professional or scientific archaeological research, develops and introduces new methods, prepares information, proposals and other scientific analytical texts, participates in the preparation of studies, projects and elaborates of all types that require more experience, knowledge and expertise and performs expert control and supervision over the work of an extremely complex interventions in the direct protection of cultural heritage and preparation of legislation on cultural goods. 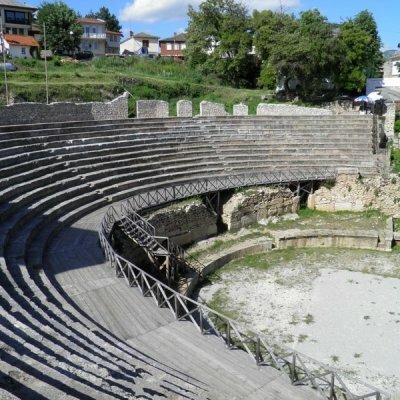 During its multiannual work, NI Institute and Museum-Ohrid has performed a number of protective archaeological research of which as more important can be distinguished: the protective archaeological excavations at the archaeological site Plaoshnik in Ohrid, protective archaeological research of the Antique Theater in Ohrid, protective archaeological research of Samuel's Fortress in Ohrid, protective archaeological research at the archaeological site Manchevci in Ohrid, protective archaeological research at the archaeological site Deboj in Ohrid and many others. SECTION FOR LEGAL PROTECTION OF CULTURAL HERITAGE prepares expert opinion on the issues and problems concerning the protection of cultural heritage and the realization and improvement of the activity. Monitors the implementation of strategic documents, recommendations, programs and other measures related to the activity. Prepares information, proposals and other expert-analytical texts. Performs reviewing, expertise and other things related to cultural heritage. Prepares studies, projects and elaborates of all types that require more experience, knowledge and expertise and carries out expert control and supervision over the work of an extremely complex interventions in the direct protection of cultural heritage and development of regulations for cultural property in accordance with law. Works in the legal protection of cultural heritage and establishes appropriate legal acts. Participates in the evaluation and revaluation of cultural heritage in proposing a status of protected good. 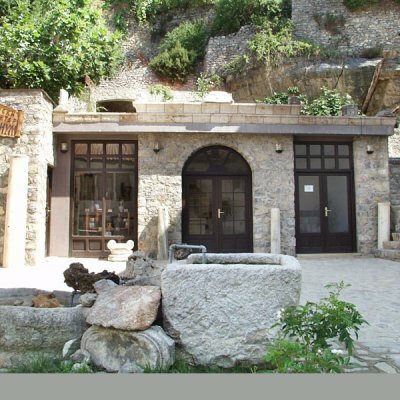 Performs work in the field of providing physical and technical protection of administrative and museum buildings and organizes surveillance of the safety protection of the property of NI Institute and Museum-Ohrid, cultural heritage and museum material. Performs works of preparation of NI Institute and Museum-Ohrid in the field of defense, prepares and handlesd appropriate plans. Performs works in the field of protection and rescue from disasters and other accidents of employees and property of NI Institute and Museum-Ohrid, as well as the prevention and management of crisis. SECTIONS FOR PROTECTION OF ETHNOLOGICAL AND HISTORICAL HERITAGE carries out professional activities for identification and prescribes the regime of protection and use of cultural heritage, especially in the preparation of methodological bases, standards, norms and patterns for performing the works and improvement of the methodology for recording. They do the coordination and participate in the process of evaluation, re-evaluation, designation and documentation of the cultural heritage, monitoring the situation and changes, the study of values, meaning and functions, conservation, presentation and popularization of the cultural heritage. They prepare reports for putting under protection of goods; manage professional teams for inspection, registration, valuation, revaluation, carrying out conservation research for development of conservation projects and studies of various kinds. Also, these units perform audit and control of conservation projects and other documentation for the cultural heritage in accordance with the law and operate and participate in the implementation of international, national and other joint projects related to cultural heritage and its protection, presentation, use and popularization. SECTION FOR PROTECTION OF ARCHITECTURAL HERITAGE participates in the identification of cultural heritage especially in terms of values, meaning and justification for putting under protection of the registered heritage. Participates in the preparation, completion and shaping of elaborates for valuation and revaluation. (The Elaborate on the revaluation of the old city core of Ohrid on which bases a Law declaring Ohrid a monumental whole of particular importance and over 300 elaborates on valuation and revaluation of individual facilities on the territory of the municipalities of Ohrid, Struga, Debarca and Vevchani). Participates in preparation of programs, calculations and proposals for taking appropriate measures for protection of protected goods, as well as in the development of protection and conservation bases on the territory of four municipalities: Ohrid, Struga, Debarca and Vevchani and preparation of elaborates for putting the good under temporary protection. The experts of this department participate in the preparation of applications, information, reviews, analyzes and other expert-analytical materials and acts for protection and use of cultural heritage. They participate in conservation research and preparation of conservation projects for conservation of objects of sacred Christian architecture and their implementation (Project for conservation of the architecture and fresco painting of the church and monastery complex of the Holy Virgin Peribleptos, Project for conservation of the architecture and fresco painting of the church of the Holy Virgin Zahumska in the village Trpejca, Project for conservation of the architecture of the church of St. Sophia in Ohrid, Project for conservation of the architecture and fresco painting of the church St. Clement the Lesser in Ohrid, Project for conservation of the architecture and fresco painting of the church St. Demetrius in Ohrid, Project for conservation of the architecture and fresco painting of the church of Ss. Constantine and Helena in Ohrid, Project for conservation of the architecture and fresco painting of the church of the Holy Physicians the Lesser in Ohrid, Project for conservation of the architecture and fresco painting of the church Ss. Kosmas and Damian in Horrid, Project for conservation of the architecture and fresco painting of the church of St. Nicolas the Miracle worker in Horrid, Project for conservation of the architecture and fresco painting of the church of St. Archangel Michael in Horrid, Project for conservation of the architecture and fresco painting of the church of St. John the Theologian at Kane in Horrid, Project for conservation of the architecture and fresco painting of the church of All Saints in the village Neshanic, Project for conservation of the architecture and fresco painting of the church St. Nicholas in the village Kossel, Project for conservation of the architecture and fresco painting of the church of the Holy Virgin of the Cell in the village Velma and many others). 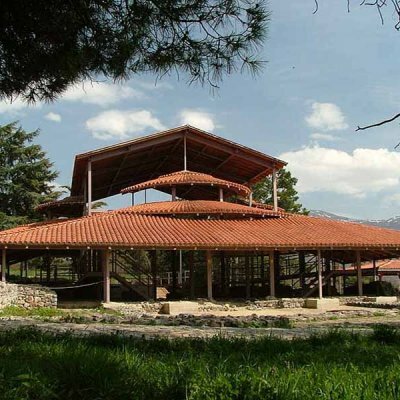 The scope of work of this department are also conservation research, preparation of conservation projects and their implementation for several archaeological sites with their complete conservation and presentation (archaeological site Manchaca in Horrid, archaeological site Plaoshniik in Ohrid with complete conservation of all mosaics from the early Christian basilicas and their presentation with construction of protective roofs and many others). Besides the sacral, the department participates in conservation research, preparation of conservation projects and their implementation for secular architecture (Conservation of facades, roofs, changing the carpentry and construction of a retaining wall in the museum complex Robevci, Facsimile rebuild of the House of Urania, Conservation of facades, changing the carpentry of Memorial House of Hristo Uzunov, Conservation of facades and change the carpentry of the house of Patchev family, conservation of facades, change of carpentry, roofing conservation and conservation of interior of the Bojadziev family house, conservation of the house of Gjurcinov family, conservation of three buildings on the street "7 November", conservation of the building of Radio Ohrid, Conservation of a store, Conservation of the house of Kole Kotushe in Ohrid, Conservation of the Memorial house of Miladinov brothers in Struga, Conservation of the house of Ljuba Blazheska in Struga and many others). The section participates in conservation research, preparation and realization of conservation projects for objects of Islamic architecture (Ali Pasha's Mosque in Ohrid, Sinan Çelebi Turbeh in Ohrid, the fountain of the Shrine Zeynel Abedin Pasha in Ohrid, Haji Hamza Mosque in Ohrid, Haji Durgut Mosque in Ohrid, Voska Hammam in Ohrid, Mustafa Çelebi Mosque in Struga and others). Performs professional supervision over conservation activities and other measures of direct protection in accordance with the law, makes decisions and other acts for cultural properties and manages and participates in the realization of international, national and other joint projects related to cultural heritage and its protection, presentation, use and popularization, participates in the preparation of management plans and provides technical assistance to the owners of cultural heritage. Monitors the activities within the international system of protection of cultural goods, monitors the implementation of strategic documents, programs, recommendations and other measures related to the activity. Coordinates the tasks during the implementation of very specific and complex processes in the activity. SECTION FOR ART TECHNIQUES performs protection and conservation and restoration works both on the immovable and movable cultural monuments in the field of fresco painting, panel painting, icon painting, mosaic, protection of objects made of paper, stone, ceramics, wood, textile and metal. The professional staff of this department performs preparation and conservation of museum materials and museum objects for the exhibition and storage needs. 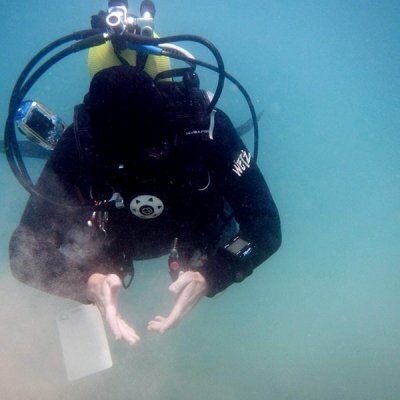 They carry out preparatory work and restoration of museum objects and museum material, preventive care of museum objects, when needed they participate in field research and excavations. They participate in the preparation of existing and themed settings and temporary exhibitions. If necessary, they participate in the collection of museum material and make its preliminary conservation treatment on the field, participate in conservation research, preparation of conservation projects and their implementation, prepare documentation about the conserved material, perform conservation supervision, participate in the protection of museum material in the storages and exhibitions and maintain the field equipment in proper condition. CONSTRUCTION OPERATIONS participate in the performance of conservation research, preparation of conservation projects and performs conservation supervision. Participates in performing necessary inspections during construction of inadequate construction activities on facilities by outsiders and performs static analysis on the stability of the buildings and provides guidance on measures to be taken in order to ensure their full stability. INDOC-CENTER which is a part of NI Institute for Protection of Monuments of Culture and Museum-Ohrid has its beginnings in the 60s of the last century within the National Museum Ohrid, as a photographic workshop and a library with reading room, and over time it took shape and was modernized in a contemporary informative and documentary center. The INDOC center stores, processes and systematizes the descriptive, graphic and photo documentation of immovable and movable monuments of culture in terms of protection activities, museum documentation, for the collections and for individual museum objects. The documentation for the protection of monuments consists of recording and forming dossier which provides protection regime and appropriate architectural documentation for each individual cultural monument, then, prepared projects for conservation and restoration of buildings and entire ensembles of immovable cultural heritage, elaborates for evaluation and revaluation of buildings etc. The museum documentation consists of the deposited input and inventory books that record museum items that are obtained in this institution through archaeological excavations, research, purchase, donations etc., then projects for conservation of museum objects from the collections of NI Institute and Museum-Ohrid, reverses for exported and returned items from various exhibitions, especially international and all documentation relating to them, elaborates for valuation and revaluation of museum collections etc. The photo documentation at this center is an important segment of the overall activity of the institution. From its beginnings to the present day, the fund of documented and processed negatives (glass plates and celluloid tracks), photographs (black and white and color), video tapes and cassettes, CD and DVD ROMs, etc., from all sectors of the institution reaches huge figure as a result of its extensive work. Earlier there was a photo-lab that worked on the preparation of photo documentation and served all departments and experts. Today in the era of digital photography all experts have solid digital cameras so that the fund of photo and video records is huge and almost cannot be accurately recorded. In recent years we work on computerization of the INDOC center and its connection to the computer network in the country. 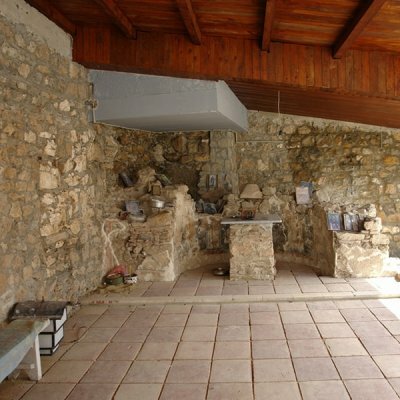 The Archeological Department exists from the very opening of the National Museum in Ohrid in the renowned Ohrid house of brothers Robevi, in May 1951. There were no professional archaeologists employed then, but Foti Masin, assistant conservator and administrator and Abdul Kerim, assistant conservator were responsible for the archaeological exhibition. Then the archaeological exhibition occupied most of the exhibition space in the museum, the ground floor housed the lapidarium with stone and marble monuments, mainly epigraphic with ancient Greek and Latin inscriptions, which were placed before in the yards of the churches of St. Nicholas and Holy Virgin Chelnichki, St. Sophia and Holy Virgin Peribleptos. Among them were even then known two relief slabs with Dionysus and the Muses from the Antique Theater, several epigraphic tombstones and other monuments. In the showcases, placed on the floors of the museum house, there were archaeological objects found and preserved from the time of the Office of Antiquities in Ohrid and before it, as well as purchased items, something obtained with the first archaeological research (villages Orman, Trpejca) so in 1952, the Archeological Department had 291 items, chronologically from the prehistoric, antique and medieval periods. With the employment of the first experts Vasil Lahtov, curator head of the archaeological collection and Radmila Pasic, curator archaeologist, the Archaeological Department in its professional structure had at least two, and most four employed archaeologists. Under the authority of this department are the epigraphic monuments and the complete numismatic material. Since its establishment until today, this department is a holder of significant archaeological research including necropolis Trebenishta, Basilica Studenchista, Antique Theater, Basilica and necropolis of St. Erasmus, the necropolis and basilica Deboj, Neolithic settlement Lower Trnovo, the ancient family tomb Vidobishta, underwater archaeological excavationson Ohrid Lake-prehistoric settlement Plocha Michov Grad (Bay of the Bones), Samuel's Fortress, Plaoshnik and many more, mainly protective archaeological interventions in Ohrid, under the waters of Ohrid Lake and in the Ohrid region. Today the Archeological Department at NI Institute and Museum-Ohrid is responsible for over 250 recorded archaeological sites in Ohrid and Ohrid-region, museum treatment of over 100.000 movable archaeological items and 20.000 coins from ancient and medieval periods. Ethnological Department exists since the establishment of the Museum. The collection and recording of many museum objects has begun since the early 50's, as well as the work on research, documentation and presentation of outstanding heritage jealously guarded in Ohrid houses, warehouses, drawers and old trunks. Initially material originating from Ohrid and Ohrid area was researched and documented, but after several years credentials have been extended towards Resen, Struga, Kicevo, Debar and Makedonski Brod communities. Then was performed research on folk material culture, which later resulted in the drafting of the ethnological map of Ohrid area that gives a clear picture of folk life represented by the costume, the house and occupation with the most distinctive features. This department works on research and collecting folk costume of Macedonians and nationalities and also of materials and data relating to old crafts. Ethnological Department at that time was housed in the House of Urania. Besides the permanent museum exhibitions, numerous thematic exhibitions, presenting ethnological heritage, have been realized. The tradition of the work of the Ethnological Department continues to this day. It continuously works on the research both the material and spiritual culture. The material heritage is regularly being presented at thematic exhibitions in Ohrid Museum. The fund of museum objects constantly is enriched. The items are purchased or are obtained as gifts to the the museum. Historical Department exists since the very beginning, i.e. 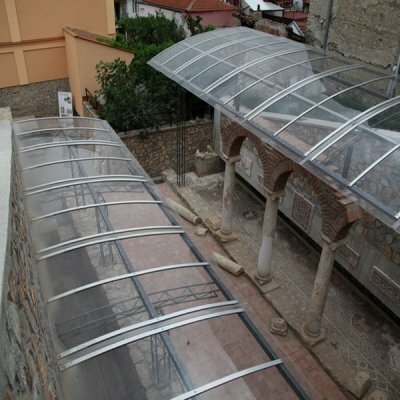 the restoration of the National Museum in Ohrid and its main activity is carried out through research, acquisition, management, professional and scientific processing of historical museum material and museum objects, their storage and protection, as well as their presentation by organizing permanent and temporary exhibitions, lectures, seminars, research projects, scientific conferences etc. The results of the overall work of the Historical Department are published in the form of articles in various specialized magazines, collections of papers, periodicals and monographs. The activity of the Historical Department in the very beginning is marked by two large thematic exhibitions: "Ilinden 1903 in Ohrid region" and "People's Revolution in Ohrid region 1941-1944". The exhibition "Ilinden 1903 in Ohrid region" was opened in 1953 to celebrate the fiftieth anniversary of the Ilinden Uprising ain order to inform the visitors about the overall preilinden, Ilinden and post-Ilinden revolutionary activity. Since the very beginning of its work, the History Department started with collecting documents and other materials for the preparation and opening of the exhibition "People's Revolution in Ohrid region 1941-1944". The opening of the exhibition was financially supported by the Association of veterans from Ohrid. The collection of materials and other preparations for this exhibition were completed in the summer of 1956 and the official opening was on July 4th, in honor of Fighter's Day. Special emphasis in the work of this department is on the period under Ottoman administration, national liberation and revolutionary movement since the Ilinden period and after, the Balkan wars and the First World War, the period between the two World Wars, the National Liberation and anti-fascist struggle of the Macedonian people during the Second World war, the period within Yugoslavia and the modern development of the Republic of Macedonia as an independent state. In the rich fund of museum items that are kept in the historical collection that is the responsibility of this department, there are also some original museum objects which have incalculable importance, not only for the cultural history of Ohrid and Ohrid region, but also for the history of Macedonia. One of the most important documents is the photocopy of the last letter of Hristo Uzunov, organizer of the revolutionary committees in Ohrid, and Head of the Ohrid-Struga rebels. On April 11, 1905, he and his squad were surrounded and suddenly attacked by a numerous Turkish army in the village of Cer (near Kichevo). Finding no other way out, he and his rebels committed suicide, and shortly before his death he wrote that letter which contains important information. Among the significant relics, that are lesser known to the public, are the beard and the purse of this great revolutionary and visionary. The story about the beard of Hristo Uzunov begins on the day of his death, when he took his life with his own hand in order not to fall alive into the hands of the enemy. Before being buried, a woman cut off his beard to send it to his mother. It is not known how the beard has traveled and how it came to his mother Anastasia, but it is known that it was kept for many years in the family as a rare memorial that reminded of Hristo Uzunov. However, the purse that this revolutionary had with him in the last moments of his life, when the drama took place in the house in Cer, is mentioned in his farewell letter to his mother, where he explicitly states that he has hidden the purse with the money of the Ohrid organization in a hole in the wall across the staircase where he was at the moment. The purse has arrived in Ohrid through secret channels from Bulgaria, where it was in possession of the descendants of Hristo Uzunov i.e. his brother Angele. 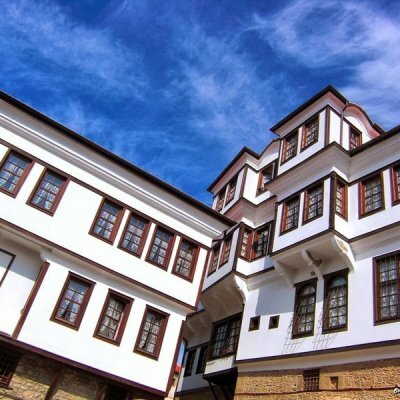 During its extensive work, the Historical Department at the Institute and Museum in Ohrid, established contacts and cooperation with many similar institutions in the country: the Museum of Macedonia, the Institutes and Museums in Bitola, Prilep, Shtip and Strumica and others. Close cooperation has been established with many scientific and educational institutions in the country and abroad: Institute of National History, the State Archive of the Republic of Macedonia, the State Archive of the Republic of Bulgaria, as well as close cooperation with numerous distinguished and eminent researchers and scientists from the country and abroad. This is one of the oldest departments in our institution that functions since the very beginning of the work of the National Museum in 1951, and in June 1953, the Art Gallery, established on August 2, 1952 as an independent institution with 68 artworks (paintings and prints), donated by the Council of Education of PRM and the Art Gallery in Skopje, was added as a separate unit. Since its establishment until today, the collection of works of contemporary art is constantly enriched and today it counts 500 works, paintings in various techniques, graphics and sculptures made of different materials. The Department of Art History deals with research, documentation, preservation, publication and presentation of medieval sacral art, fresco painting and especially icon painting as the Icon Gallery, which is part of the Institute and Museum in Ohrid, owns one of the most significant, most valuable and most beautiful collections of icons in the world. 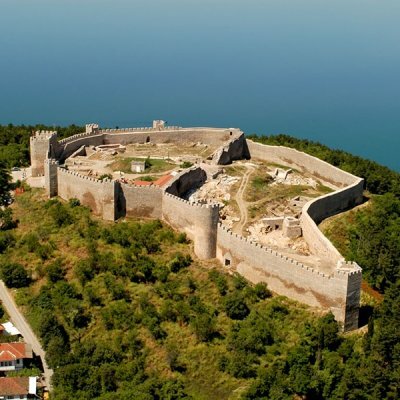 The experts of this department perform investigations, recording, evaluation and revaluation of immovable and movable heritage on the territory under the jurisdiction of the Institute and Museum in Ohrid, which today covers four municipalities: Ohrid, Struga, Debarca and Vevchani. 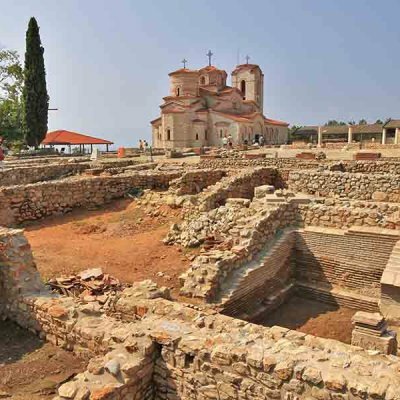 They also explore and prepare full descriptive, photo and technical documentation of architecture, mosaics and wall paintings for the numerous churches in Ohrid region, starting from the numerous early Christian basilicas of the 5th and 6th centuries, through medieval churches from 11th to 14th centuries, until the sacral buildings from the beginning of the last century. They prepare projects for conservation and restoration of icons from the permanent exhibition of the Icon Gallery from the period between 11th and 19th centuries, in which realization in the National Conservation Center-Skopje our experts take active participation. One of the main activities of this department is the organization and realization of own and retrieved exhibitions at home and abroad. Numerous scientific articles in various magazines and collections of papers, catalogs of exhibitions with different thematic approach, organized in cooperation with other national and international museums and other institutions, give big contribution in the popularization of the ultural heritage. In 1961, from 10 to 15 September the 12th International Congress of Byzantinologists took place in Ohrid and on that occasion the icons from Ohrid collection were exhibited in one place for the first time. That exhibition was also the first attempt of this kind and to some extent had an experimental character since its very conception was made with the intention by displaying the finest examples of icons to illustrate the history of icon painting that was still unwritten at the time. Besides the large number of museums and churches from the former Yugoslavia who borrowed icons to this exhibition (92), the National Museum in Ohrid exhibited 25, most of them being now a part of the permanent exhibition of the Icon Gallery-Ohrid. Starting from 1963, when in Ljubljana, Slovenia (then one of the six constituent republics of Yugoslavia) were exposed 4 icons, icons of our collection, now housed in the Icon Gallery-Ohrid have been presented in numerous exhibitions at home and abroad. In 1965 icons from Ohrid collection were exhibited in the Louvre in Paris, France; 1971 in Grand Palais in Paris; 1967 in the National museums in Tokyo and Kyoto, Japan; 1971 in Skenderija Center in Sarajevo, Bosnia and Herzegovina; 1986 in Musei Vaticani, Vatican; 1987 in Muzejski Prostor in Zagreb, Croatia; 1999 in Musée National du Moyen Age Thermes de Cluny in Paris, France; 2000 in the Armory of Czartoryski Museum in Krakow, Poland; 1999 in Museo Nazionale del Palazzo di Venezia in Rome, Italy; 2000-2001 in Museo Diocesano in Padua, Italy; 2004 in Metropolitan Museum in New York; 2008-2009 in Royal Academy of Arts in London, UK; 2011 in Catharijneconvent Museum in Utrecht, the Netherlands; 2016 in Pontificia Università Urbaniana,Vatican. "Great Feasts in the Ohrid icon painting from 15th to 19th century" in 1998 in the House of Robev family in Ohrid "From the Ohrid opus Dicho Zograph" in 1999 in the House of Robev family in Ohrid, transferred in the museums in Strumica and Shtip; "The presentations of Jesus Christ and Mother of God in the Ohrid icon painting" in 2000 in the lower space of the Icon Gallery-Ohrid; "From Ohrid treasures" in 2001 in the lower space of the Icon Gallery-Ohrid; "Slavic apostles Ss. Cyril and Methodius" in 2004 in the lower space of the Icon Gallery-Ohrid; "Graphic Leaves 18th-19th centuries from the collection of the Museum Prilep" in 2007 in the lower space of the Icon Gallery-Ohrid. 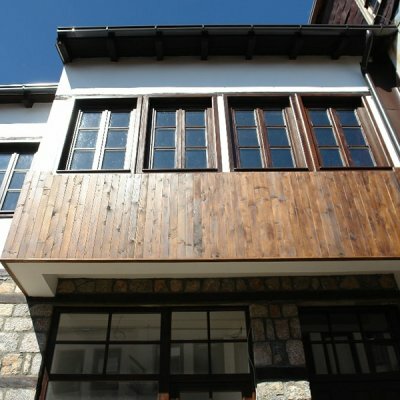 The Gallery of Contemporary Art "Robevci" is located in the house of the renowned old Ohrid family Robev. Exhibition activities in the field of contemporary art begins in the distant fifties, with the establishment of the Art Gallery and since 1994 the Gallery of Contemporary Art "Robevci" works intensively and is oriented to exhibiting the works of contemporary authors in the field of modern art. Over 140 authors have exposed their works in the gallery, in doing so encompassing artists from all generations, both national and international. Besides solo author exhibitions, the Gallery has organized numerous group exhibitions, as well as exhibitions of art colonies. It has realized exhibitions in the field of decorative arts such as calligraphy exhibition, exhibition of reproductions, photography, jewelry, exhibition of contemporary icons, exhibitions in the field of architecture, etc., both national and international. Besides independent author exhibitions gallery has organized numerous group exhibitions, as well as exhibitions of art colonies. It has realized exhibitions in the field of decorative arts such as calligraphy exhibition, exhibition of reproductions, photography, jewelry, exhibition of contemporary icons, exhibitions from the field of architecture, etc. 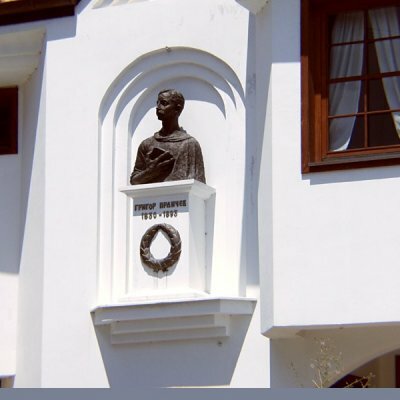 The library was established since the founding of the National Museum-Ohrid in 1951. In 1973, when the two institutions, the National Museum-Ohrid and the Institute for Protection of Cultural Monuments have integrated, the library fund of the latter was included. Today the fund of the specialized library of our institution is about 12,000 titles: periodicals, journals, monographs, newspapers and other items, obtained through purchase, exchange or donated by individuals or related institutions. The library is of a vocational nature and is open to the public.